wear, because they will have to be used by a large number of people, repeatedly. We are talking about seats that will be placed in environments such as theaters, conference rooms, cinemas, meeting rooms. They are in effect part of the furniture and must comply with certain safety standards for public places. Community chairs nowadays must be ergonomic: the comfort of those who sit is obviously in first place, because when you sit for two or more hours in the same position (while attending a show or a conference to example) it is important not to have pain and not to assume incorrect postures. The expense for a good community chair, made with quality materials, practical to keep clean and designed to be suitable for the public, will be repaid because you will have beautiful and durable seats, which will not have to be changed after a few years. Which are the characteristics for a community chair? The seats for cinemas, theaters, auditoriums and meeting rooms must be first and foremost versatile, characterized by elements and accessories that allow customization based on the different needs and places they are intended for, whether they are a schoolroom or a theater. 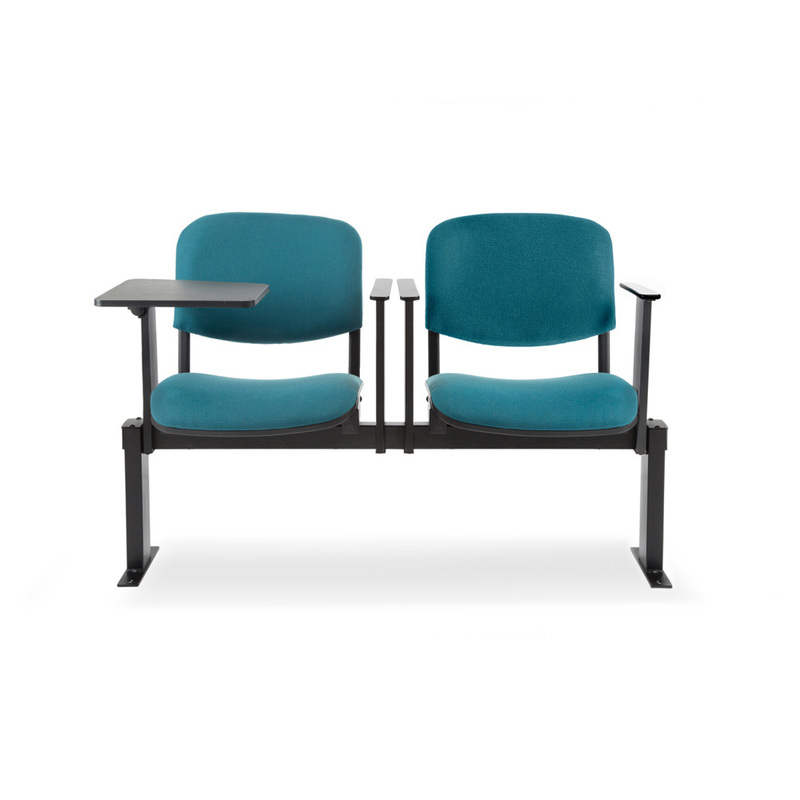 The backrest is generally rather low, the armrests and the writing tablet may or may not be present, the seat is in many cases foldable, wide, welcoming and comfortable. Versatility, we said, but also minimalism and linearity. In fact, this type of seating will adapt to other elements of the furniture, so they must have a timeless design, with clean lines and high performance both technical and comfort. The materials used are wood for the interiors, soft polyurethane for the padding, upholstery in fabric or eco-leather and a solid steel metal structure. These are the characteristics of the Koinè community chairs by Grendene: chairs that are well suited to the surrounding furniture and which have a wide variety of uses. The beam chairs of the Koinè series are characterized by a flexible system that allows them to be positioned on straight and horizontal surfaces, or inclined or wide steps, in straight or curved rows. They are used to furnish meeting rooms, in cinema and in theaters, in classrooms, multi-purpose spaces and waiting areas. Koinè beam seating are perfect, for example, for classrooms in schools, universities, lecture halls and are also arranged for floor fixing.